Slice of Pi Quilts: Zest - a new quilt pattern! The story of the Zest quilt goes way back to Spring Quilt Market last May when I met Liz and Elizabeth of Simple Simon Co. 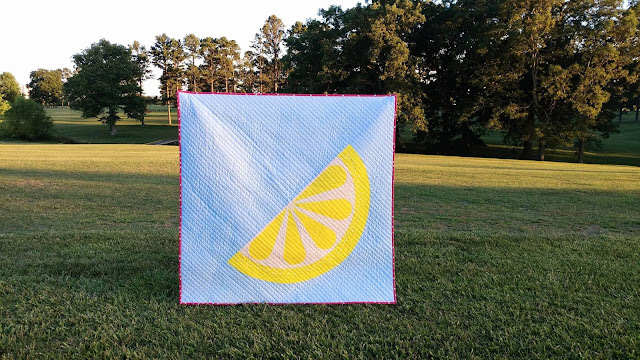 They asked if I could make a lemon quilt using their new "Just Add Sugar" fabric line for Riley Blake Designs similar to my Sliced watermelon quilt. Of course I said yes! You can read more about that story here. I knew I wanted to write the pattern for it, but, life. 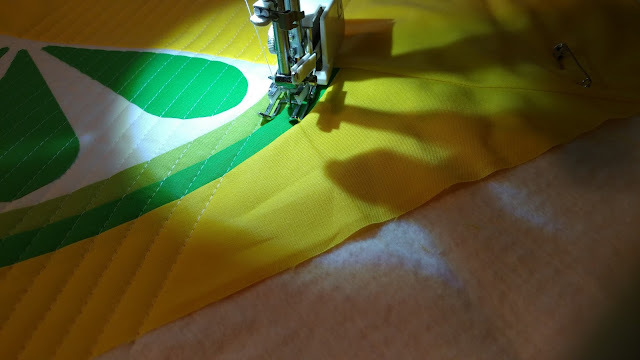 So getting this pattern done feels SO good! It's been on my to-do list for eight months! This week, I made three mini quilts using Kona solids by Robert Kaufman. Each one measures 16" square. 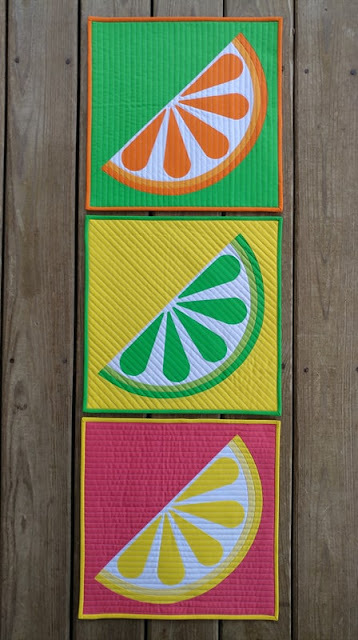 They are quilts 8, 9, and 10 for the year. 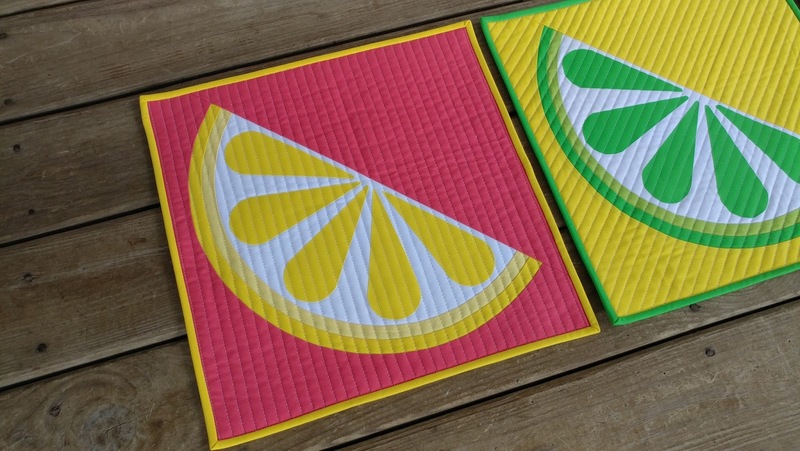 The lemon mini quilt uses Kona Citrus, Buttercup, White, and Punch. 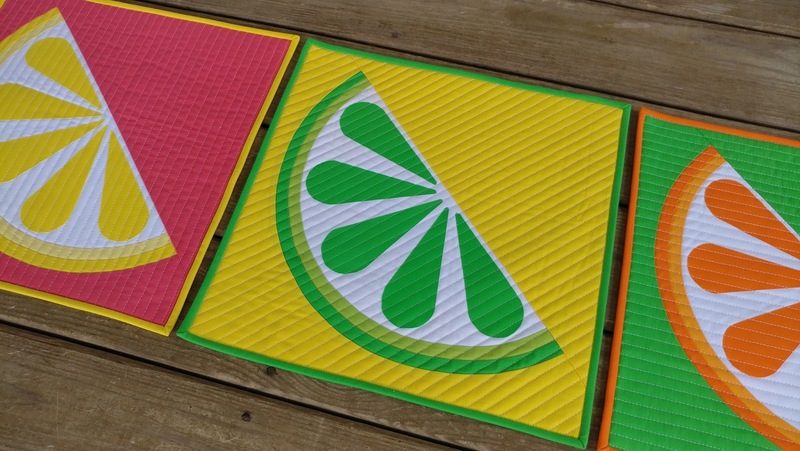 The lime mini quilt uses Kona Kiwi, Chartreuse, White, and Citrus. The orange mini quilt uses Kona Torch, School Bus, White, and Kiwi. 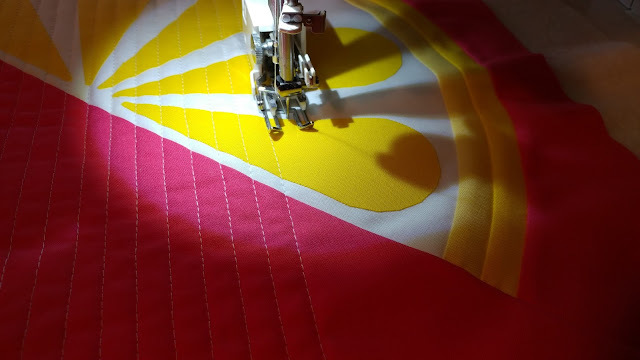 All of the piecing and quilting was done with Aurifil 50wt thread in White #2024. I quilted each one with my walking foot on my Juki TL-9010Q. One has horizontal lines, one vertical, and one diagonal. 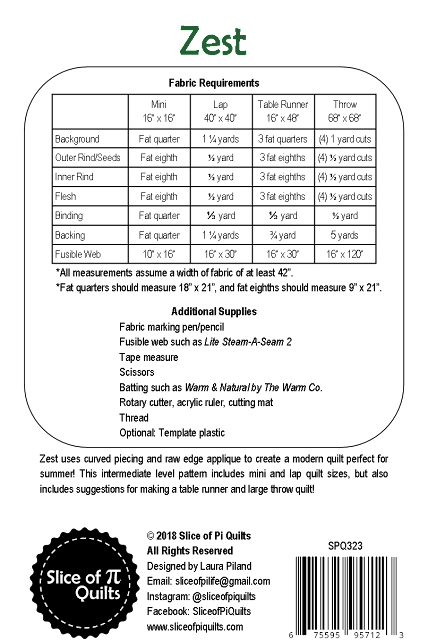 I used the edge of the walking foot to space the lines, so they are about 1/2" apart. 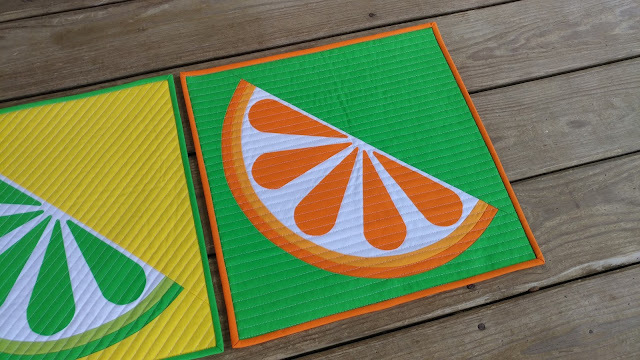 All three quilts have yellow in them, but it's on the back of the orange one. 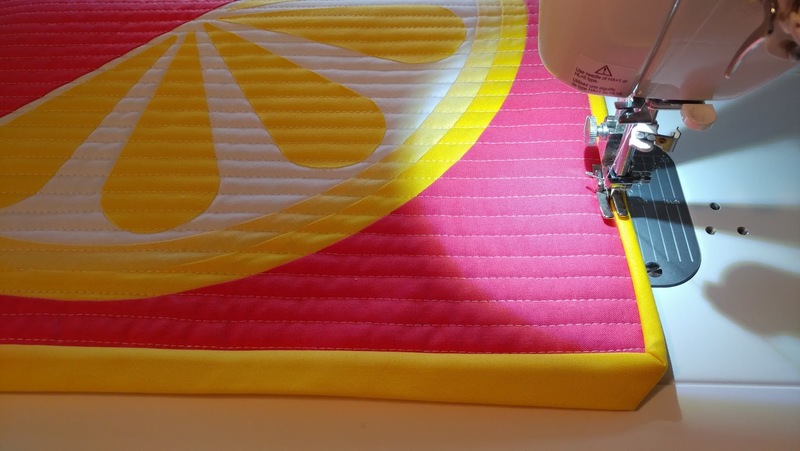 Zest uses curved piecing and raw edge applique to create a modern quilt perfect for summer! 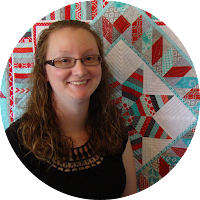 The intermediate level pattern includes mini and lap quilt sizes, but also includes suggestions for making a table runner and large throw quilt! 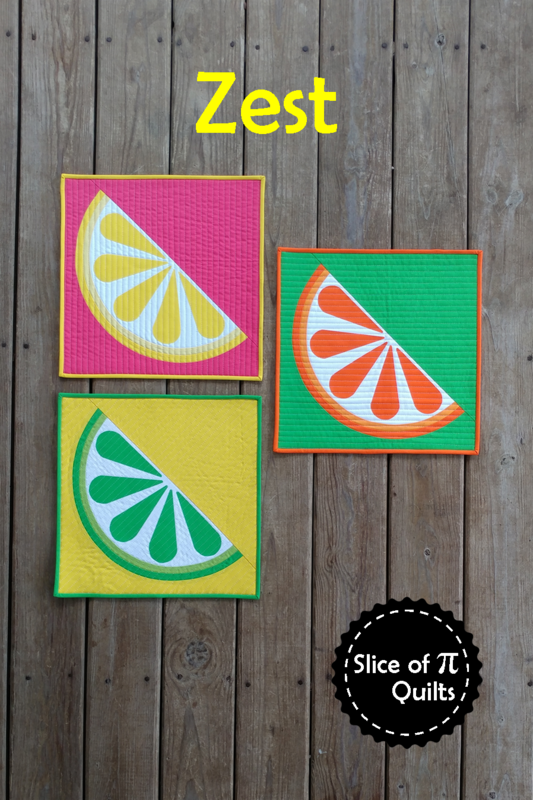 The pattern includes directions for a 16"x16" mini quilt, 40"x40" lap quilt, 16"x48" table runner, and 68"x68" throw quilt. You can purchase the pattern digitally on both Etsy and Craftsy. (If you live outside the US, please purchase on Etsy.) 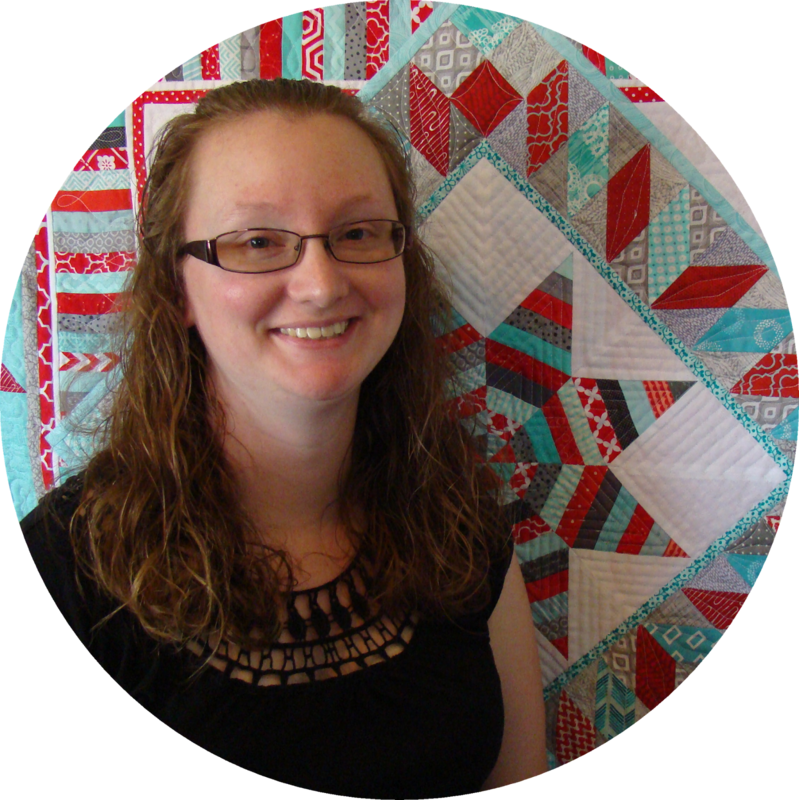 You can view all my patterns on the "My Patterns" tab at the top of the blog. Printed patterns will be available next month. 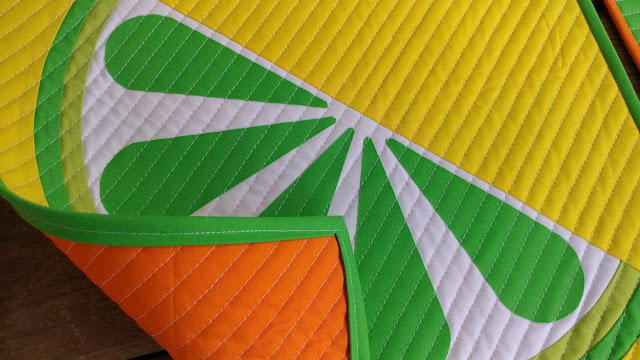 Be sure to tell your favorite quilt shop that you want them to carry it! Linking up with Project Quilting 9.4 at Persimon Dreams, Needle and Thread Thursday at My Quilt Infatuation, Finished or Not Friday at Busy Hands Quilts, Finish It Up Friday at Crazy Mom Quilts, Can I Get a Whoop Whoop at Confessions of a Fabric Addict, TGIFF at What a Hoot Quilts, Friday Foto Fun at Powered by Quilting, Let's Bee Social at Sew Fresh Quilts, Midweek Makers at Quilt Fabrication, and Wednesday Wait Loss at The Inquiring Quilter. Those are so much fun! I love your use of color! fantastic! congrats on a new pattern! That is a summer quilt, for sure. 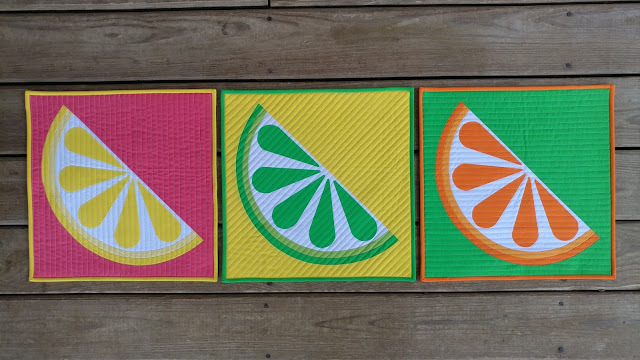 It makes me want limeade! Best of luck on your pattern sales!! 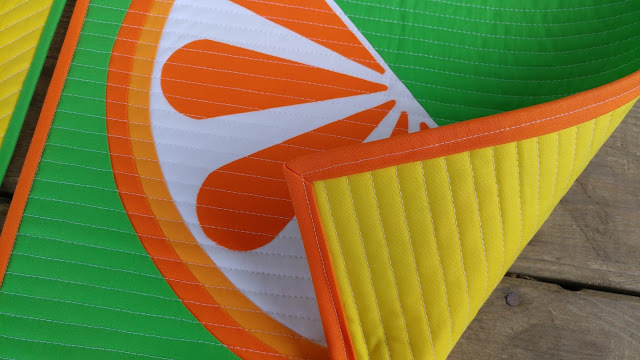 Alright, this is one of the coolest sets of quilts around. :) Great use of color in them. These are so cute! Congratulations on the new pattern. Man, I know what it's like to have a pattern on your to-do list for a while. There is nothing like finally finding the time to write it and release it. So happy for you! Thanks for linking to Wednesday Wait Loss. I'm so glad you got the pattern finished! I love Zest! I know how hard it is to sit down and write a pattern...it is intimidating and it is hard to find the time! I just love these...they make me very happy! These are so bright and cheery - nice job! 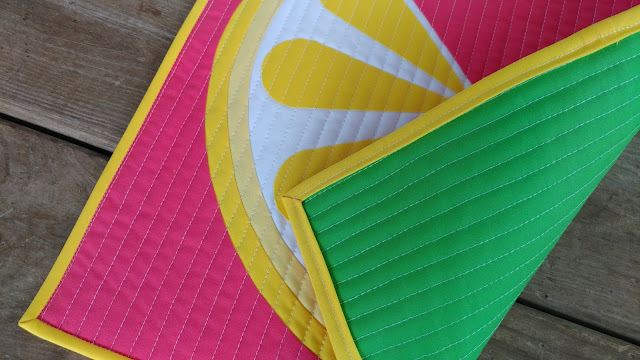 These turned out so nicely - gorgeous colors and stunning quilts. These are scrumptious, congratulations on a fabulous new pattern! They are beautiful, I love them all. Lime is one of my favorite colors.